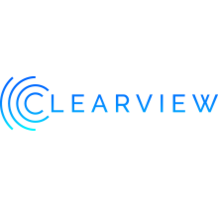 Clearview™ is the revolutionary business solution that brings new levels of visibility and accountability to all levels of your organization. By allowing you to see the weaknesses and strengths of each individual agent, Clearview enhances communication with employees, increases productivity, streamlines the work process, increases customer service and loyalty, and drives performance to new levels! Clearview offers an array of Call Center or Performance Optimization solutions designed from the ground up to meet the exclusive needs of front line sales and service actions. By delivering real-time, personalized performance data to every employee on the floor while automating critical managerial activities, Clearview increases accountability and creates a culture of continuous development enhancements essential to reach business goals. Bridging the gap between your data analytics and your business outcomes. 0	jplist-folder-All-Posts-4570 jplist-folder-Featured-4573 Product-Literature-Product-Literature	jplist-topic-Achievements jplist-topic-Agent-Engagement jplist-topic-Autonomy jplist-topic-BI jplist-topic-BPO jplist-topic-Business-Intelligence jplist-topic-Call-Center jplist-topic-Challenges jplist-topic-Change-Behavior jplist-topic-cloud jplist-topic-Coaching jplist-topic-Dashboards jplist-topic-Data-Aggregation jplist-topic-Data-Analysis jplist-topic-Employee-Engagement jplist-topic-Gamification jplist-topic-Incentives jplist-topic-LMS jplist-topic-Messaging jplist-topic-Outsourcing jplist-topic-Performance-Management jplist-topic-Proficiency-Routing jplist-topic-QA jplist-topic-Quality jplist-topic-Real-Time jplist-topic-Stack-Ranking jplist-topic-Wallboards	1	01/18/2016 15:07:28	Bridging the gap between your data analytics and your business outcomes. Case Study of a current customer showing form submission and QA score improvment. 1	jplist-folder-All-Posts-4570 jplist-folder-Featured-4573 jplist-folder-Case-Studies-30871 jplist-folder-All-Posts-4570 Case-Study-Case-Study	jplist-topic-Aggregation jplist-topic-Automated jplist-topic-Call-Center jplist-topic-Customer-Service jplist-topic-Dashboards jplist-topic-data jplist-topic-Data-Aggregation jplist-topic-Development jplist-topic-Metrics jplist-topic-monitoring jplist-topic-Monitoring-Forms jplist-topic-Performance-Management jplist-topic-Productivity jplist-topic-Profitability jplist-topic-QA jplist-topic-Quality jplist-topic-Quality-Assurance jplist-topic-Real-Time jplist-topic-Sales jplist-topic-Solutions	1	01/19/2016 12:13:23	Case Study of a current customer showing form submission and QA score improvment. Case study highlighting the features and benefits of coaching forms. 3	jplist-folder-All-Posts-4570 jplist-folder-Case-Studies-30871 jplist-folder-All-Posts-4570 Case-Study-Case-Study	jplist-topic-Achievements jplist-topic-Actionable-Analytics jplist-topic-Announcements jplist-topic-Behavioral-Change jplist-topic-BI jplist-topic-Business-Intelligence jplist-topic-Challenges jplist-topic-Chat jplist-topic-Cloud-Software jplist-topic-Coaching jplist-topic-Dashboard jplist-topic-Data-Aggregation jplist-topic-Data-Analysis jplist-topic-Gamification jplist-topic-Incentives jplist-topic-Learning-Management-System jplist-topic-LMS jplist-topic-Messaging jplist-topic-Modules jplist-topic-monitoring jplist-topic-Performance-Management jplist-topic-Proficiency-Routing jplist-topic-QA jplist-topic-Quality jplist-topic-Real-Time jplist-topic-Real-time-Reporting jplist-topic-R	0	01/25/2016 15:30:49	Case study highlighting the features and benefits of coaching forms. Case Study demonstrating improvement of attrition. 4	jplist-folder-All-Posts-4570 jplist-folder-Case-Studies-30871 jplist-folder-All-Posts-4570 Case-Study-Case-Study	jplist-topic-Achievements jplist-topic-Actionable-Analytics jplist-topic-Announcements jplist-topic-Behavioral-Change jplist-topic-BI jplist-topic-Business-Intelligence jplist-topic-Challenges jplist-topic-Chat jplist-topic-Cloud-Software jplist-topic-Coaching jplist-topic-Dashboard jplist-topic-Data-Aggregation jplist-topic-Data-Analysis jplist-topic-Data-Analytics jplist-topic-Gamification jplist-topic-Incentives jplist-topic-Learning-Management-System jplist-topic-LMS jplist-topic-Messaging jplist-topic-Modules jplist-topic-monitoring jplist-topic-Performance-Management jplist-topic-Proficiency-Routing jplist-topic-QA jplist-topic-Quality jplist-topic-Real-Time jplist-topic-Real-t	0	01/25/2016 15:25:26	Case Study demonstrating improvement of attrition. Case Study highlighting the features and benefits of NPS Scores. 5	jplist-folder-All-Posts-4570 jplist-folder-Case-Studies-30871 jplist-folder-All-Posts-4570 Case-Study-Case-Study	jplist-topic-Achievements jplist-topic-Actionable-Analytics jplist-topic-Announcements jplist-topic-Behavioral-Change jplist-topic-BI jplist-topic-Business-Intelligence jplist-topic-Challenges jplist-topic-Chat jplist-topic-Cloud-Software jplist-topic-Coaching jplist-topic-Dashboard jplist-topic-Data-Aggregation jplist-topic-Data-Analysis jplist-topic-Data-Analytics jplist-topic-Gamification jplist-topic-Incentives jplist-topic-Learning-Management-System jplist-topic-LMS jplist-topic-Messaging jplist-topic-Modules jplist-topic-monitoring jplist-topic-Performance-Management jplist-topic-Proficiency-Routing jplist-topic-QA jplist-topic-Quality jplist-topic-Real-Time jplist-topic-Real-t	0	01/25/2016 15:17:02	Case Study highlighting the features and benefits of NPS Scores. Brochure highlighting the key features and benefits of surveys. 6	jplist-folder-All-Posts-4570 Product-Literature-Product-Literature	jplist-topic-Achievements jplist-topic-Actionable-Analytics jplist-topic-Announcements jplist-topic-Behavioral-Change jplist-topic-BI jplist-topic-Business-Intelligence jplist-topic-Challenges jplist-topic-Chat jplist-topic-Cloud-Software jplist-topic-Coaching jplist-topic-Dashboard jplist-topic-Data-Aggregation jplist-topic-Data-Analysis jplist-topic-Data-Analytics jplist-topic-Gamification jplist-topic-Incentives jplist-topic-Learning-Management-System jplist-topic-LMS jplist-topic-Messaging jplist-topic-Modules jplist-topic-monitoring jplist-topic-Performance-Management jplist-topic-Proficiency-Routing jplist-topic-QA jplist-topic-Quality jplist-topic-Real-Time jplist-topic-Real-t	0	01/20/2016 16:36:18	Brochure highlighting the key features and benefits of surveys. Brochure highlighting the key features and benefits of Wallboards. 7	jplist-folder-All-Posts-4570 Product-Literature-Product-Literature	jplist-topic-Achievements jplist-topic-Actionable-Analytics jplist-topic-Announcements jplist-topic-Behavioral-Change jplist-topic-BI jplist-topic-Business-Intelligence jplist-topic-Challenges jplist-topic-Chat jplist-topic-Cloud-Software jplist-topic-Coaching jplist-topic-Dashboard jplist-topic-Data-Aggregation jplist-topic-Data-Analysis jplist-topic-Data-Analytics jplist-topic-Gamification jplist-topic-Incentives jplist-topic-Learning-Management-System jplist-topic-LMS jplist-topic-Messaging jplist-topic-Modules jplist-topic-monitoring jplist-topic-Performance-Management jplist-topic-Proficiency-Routing jplist-topic-QA jplist-topic-Quality jplist-topic-Real-Time jplist-topic-Real-t	0	01/20/2016 16:30:17	Brochure highlighting the key features and benefits of Wallboards. Brochure highlighting the key features and benefits of gamification. 8	jplist-folder-All-Posts-4570 Product-Literature-Product-Literature	jplist-topic-Achievements jplist-topic-Actionable-Analytics jplist-topic-Announcements jplist-topic-Behavioral-Change jplist-topic-BI jplist-topic-Business-Intelligence jplist-topic-Challenges jplist-topic-Chat jplist-topic-Cloud-Software jplist-topic-Coaching jplist-topic-Dashboard jplist-topic-Data-Aggregation jplist-topic-Data-Analysis jplist-topic-Data-Analytics jplist-topic-Gamification jplist-topic-Incentives jplist-topic-Learning-Management-System jplist-topic-LMS jplist-topic-Messaging jplist-topic-Modules jplist-topic-monitoring jplist-topic-Performance-Management jplist-topic-Proficiency-Routing jplist-topic-QA jplist-topic-Quality jplist-topic-Real-Time jplist-topic-Real-t	0	01/20/2016 16:24:35	Brochure highlighting the key features and benefits of gamification. Brochure highlighting the key features and benefits of messaging. 9	jplist-folder-All-Posts-4570 Product-Literature-Product-Literature	jplist-topic-Achievements jplist-topic-Actionable-Analytics jplist-topic-Announcements jplist-topic-Behavioral-Change jplist-topic-BI jplist-topic-Business-Intelligence jplist-topic-Challenges jplist-topic-Chat jplist-topic-Cloud-Software jplist-topic-Coaching jplist-topic-Dashboard jplist-topic-Data-Aggregation jplist-topic-Data-Analysis jplist-topic-Data-Analytics jplist-topic-Gamification jplist-topic-Incentives jplist-topic-Learning-Management-System jplist-topic-LMS jplist-topic-Messaging jplist-topic-Modules jplist-topic-monitoring jplist-topic-Performance-Management jplist-topic-Proficiency-Routing jplist-topic-QA jplist-topic-Quality jplist-topic-Real-Time jplist-topic-Real-t	0	01/20/2016 16:14:41	Brochure highlighting the key features and benefits of messaging. Brochure highlighting the key features and benefits of Coaching. 10	jplist-folder-All-Posts-4570 Product-Literature-Product-Literature	jplist-topic-Achievements jplist-topic-Actionable-Analytics jplist-topic-Announcements jplist-topic-Behavioral-Change jplist-topic-BI jplist-topic-Business-Intelligence jplist-topic-Challenges jplist-topic-Chat jplist-topic-Cloud-Software jplist-topic-Coaching jplist-topic-Dashboard jplist-topic-Data-Aggregation jplist-topic-Data-Analysis jplist-topic-Data-Analytics jplist-topic-Gamification jplist-topic-Incentives jplist-topic-Learning-Management-System jplist-topic-LMS jplist-topic-Messaging jplist-topic-Modules jplist-topic-monitoring jplist-topic-Performance-Management jplist-topic-Proficiency-Routing jplist-topic-QA jplist-topic-Quality jplist-topic-Real-Time jplist-topic-Real-t	0	01/20/2016 15:57:53	Brochure highlighting the key features and benefits of Coaching. Case study from current customer showing increases in performance and efficiency. 12	jplist-folder-All-Posts-4570 jplist-folder-Case-Studies-30871 jplist-folder-All-Posts-4570 Case-Study-Case-Study	jplist-topic-ACW jplist-topic-Adoption jplist-topic-After-Call-Work jplist-topic-Agent-Engagement jplist-topic-AHT jplist-topic-Average-Handle-Time jplist-topic-BI jplist-topic-Business-Intelligence jplist-topic-Coaching jplist-topic-Customer-Experience jplist-topic-Data-Aggregation jplist-topic-Efficiency jplist-topic-Employee-Engagement jplist-topic-Improving jplist-topic-Metrics jplist-topic-Performance-Management jplist-topic-Real-Time jplist-topic-Real-Time-Data jplist-topic-Software	0	01/19/2016 12:07:35	Case study from current customer showing increases in performance and efficiency.